The first thing to know about Safari Explorer is that, while it falls squarely in the luxury category of cruise ships, it's distinctly nonglitzy. While the cabins are well-appointed and the service impeccable, such over-the-top perks as personal butlers, thalassotherapy pools and pillow menus are not to be found there. Heck, there isn't even a dress code. For a certain type of cruiser, however, Explorer's low-key luxury is precisely the point. After all, who needs casinos and cabarets when the main attraction is the great outdoors? 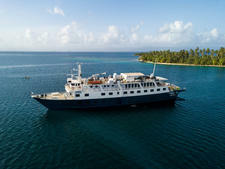 Explorer's passengers are, first and foremost, nature fans, drawn by the ship's extensive roster of soft-adventure outings and its ability to maneuver in tiny coves and narrow passages that the big ships can't get to. That's the second thing to know about Safari Explorer: By virtue of its small size, flexible itineraries and commitment to the local people and traditions, it provides experiences that would be impossible to achieve on a mainstream cruise. That includes sailing in uncharted waters and observing wildlife away from the crowds, as well as meeting local residents and learning about their culture firsthand. 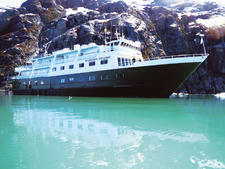 It's that combination of understated elegance and expedition-style cruising that attracts this American-flagged ship's sophisticated, well-traveled clientele. There's nothing like returning from a snorkel adventure to be greeted at the stern by a crewmember proffering a Champagne cocktail, or tucking into a breakfast of macadamia-and-banana pancakes before setting out to kayak a remote cove. 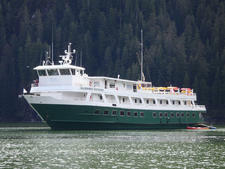 Thirty-six-passenger Explorer, flagship of Seattle-based American Safari Cruises, specializes in in-depth visits to Southeast Alaska and the Hawaiian Islands. From October through April, it offers weekly seven-night adventure cruises from Hawaii's Big Island to Maui (and reverse). The itineraries vary but focus on the leeward (dry) side of the islands, including the lesser-known Lanai, Molokai and Molokini, as well as the Big Island's Kona coast. 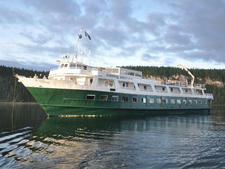 From May through September, the ship sails weeklong roundtrips from Juneau along Alaska's Inside Passage, with two days spent exploring Glacier Bay National Park, a UNESCO Heritage Site and Bisophere Reserve. 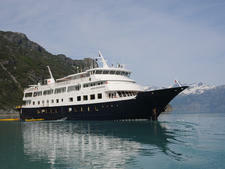 Explorer was built in 1998 as a bare-bones expedition ship, with dormlike sleeping quarters and few frills. 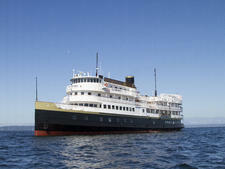 It emerged from a $3.5 million renovation in 2008 with 18 oceanview cabins, all featuring individual climate controls and private bathrooms with heated tile floors (an especially nice touch on Alaskan itineraries). The heart of the ship is the main deck's inviting salon/library/game room, lined with picture windows and furnished with overstuffed leather sofas and chairs. On the open top deck, a large outdoor hot tub is flanked by teak chaises and chairs, perfect for sipping a crisp Chardonnay while admiring the sunset. All meals are gourmet-quality, with an emphasis on fresh food and locally sourced ingredients. Premium spirits, fine wines and microbrews are served gratis throughout the trip. But aside from all that, the best thing about Explorer is its enthusiastic young crew. Whether they're freshening your drink, teaching you how to spit-polish your snorkel, or bringing you oatmeal when you don't want the crepes, their main goal is to please you. 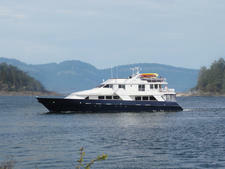 The 2:1 passenger-to-cruise ratio ensures that they accomplish their mission. Explorer passengers are an adventurous, curious, highly educated, well-traveled and well-to-do bunch with an appreciation of both nature and the finer things in life. Ages tend to skew at 55 and up; retired couples abound. But the smattering of twenty-somethings and solo travelers fits in well with this easygoing crowd, and they are quickly made to feel welcome by both crew and passengers. Whatever the demographic, everyone is eager to get off the ship and experience the destination through water sports (kayaking, stand-up paddle-boarding, exploring by skiff), walking tours, hiking, farm demos, shopping and interactions with locals. What dress code? Seriously, you can get by in Hawaii with a couple of bathing suits, a pair of shorts, a few T-shirts and some flip flops; for Alaska, just add some layers and long pants. In any case, leave the fancy resortwear at home: Shorts or jeans and T-shirts or sweatshirts are just fine at all meals. If you want to make a bit of an effort at dinner, think khakis and collared shirts for men, and casual dresses, tops and capris for women. Needless to say -- but we'll say it anyway -- there are no formal nights. If you're still considering glitzy resortwear, just know that Tilley hats, Birkenstocks with socks, fleece vests and protective flap hats are not unheard of on this ship. Destination T-shirts touting past adventures are also popular. In fact, you may notice a subtle T-shirt war going on among your fellow passengers, many of whom have already checked off the Traveler's Trifecta -- the Galapagos, the Arctic and Machu Picchu -- from their life lists. Judging from popular reactions, Denali beats the Grand Canyon, and Arctic polar bears trump all. Five to 10 percent of the fare is recommended, payable by cash, check or credit card at the end of the trip. (Checks are made out to the ship, and the total is divided equally among crewmembers.) The onboard currency is the U.S. dollar.